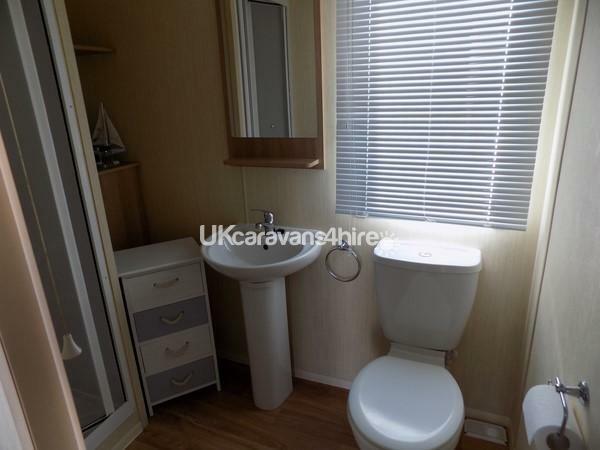 Our Caravan is a Deluxe plus, it is 12 foot wide and not very old, and has ample open plan space. 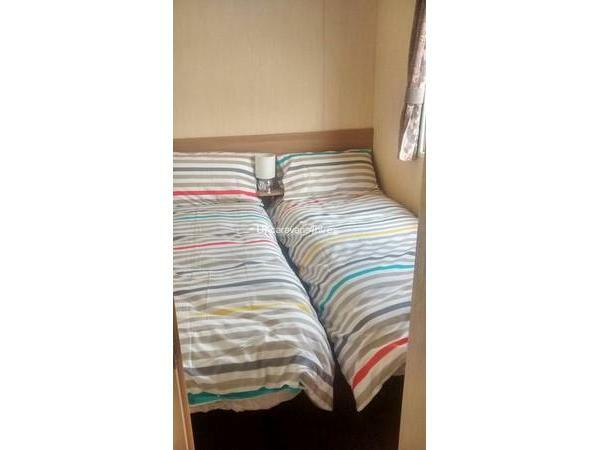 This is a three bedroom model and can sleep up to eight people. 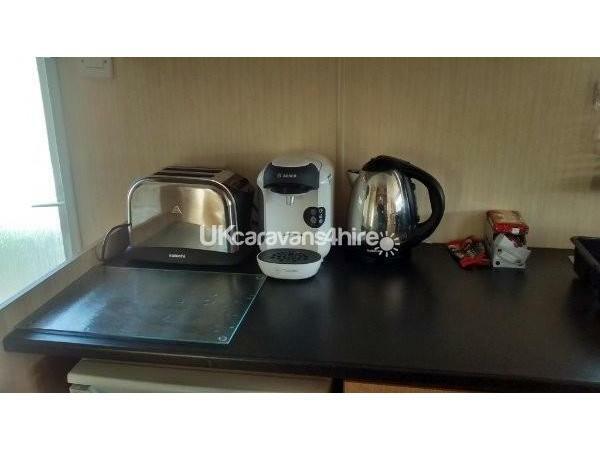 Deluxe plus is different from the Deluxe, as it includes panel heating to keep you nice and toast if the night is cold. 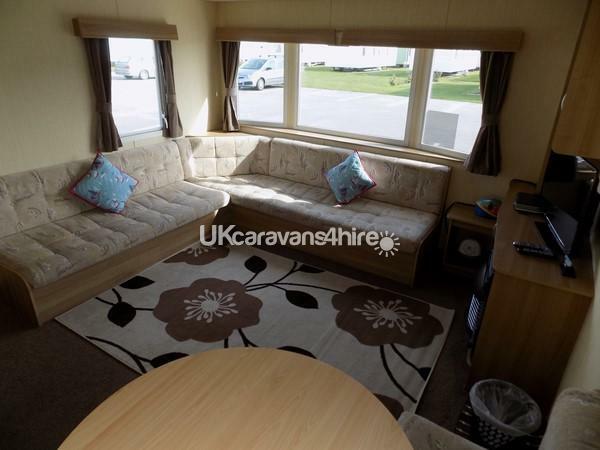 New for 2017 the caravan has underfloor insulation to keep your feet warm on those cold mornings. 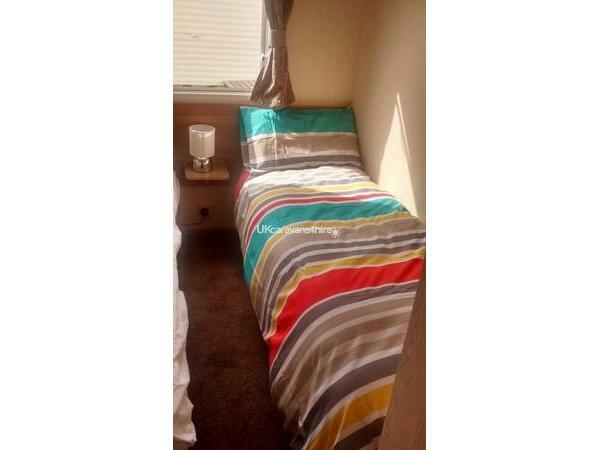 The van is very much a family van, and has recently had new interior and carpets to provide that extra sparkle. 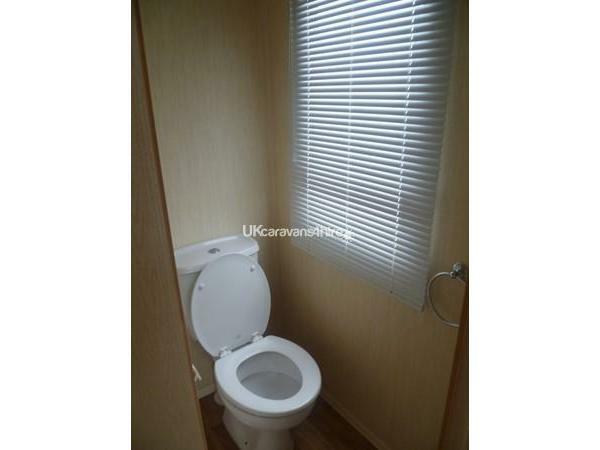 The caravan is privately owned, and the prices are very competitive. All we ask is that the caravan is left clean and tidy, to help us keep costs down for you and that rubbish is removed on departure. Additional Info: Go karts, Over head adventure. Just spent a week here at Haven, had a brilliant time. 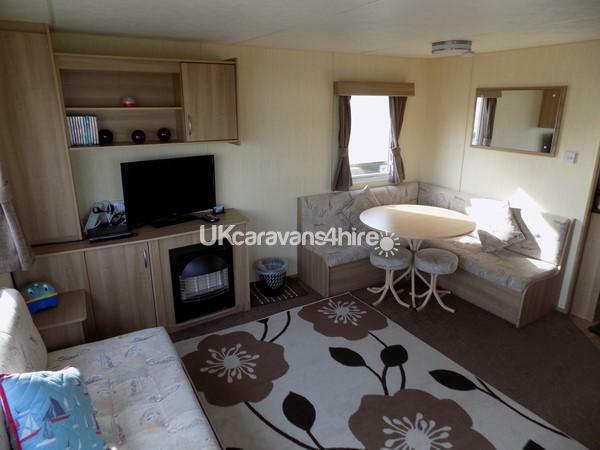 The caravan is clean spacious and equipped with everything you need, even SKY TV! 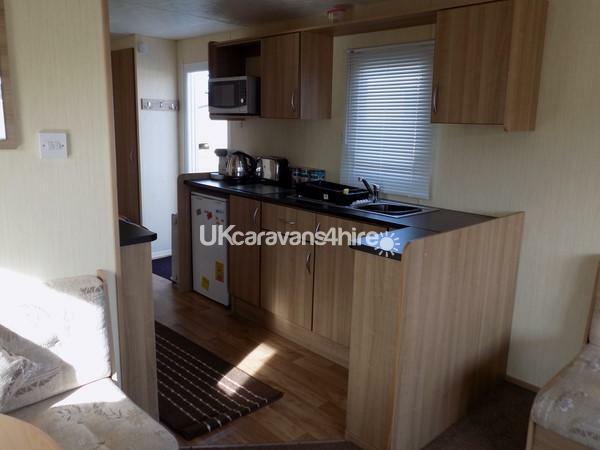 Caravan is situated in a quiet part of the site and around 5 mins walk to the main facilities and 5 mins to the beach. 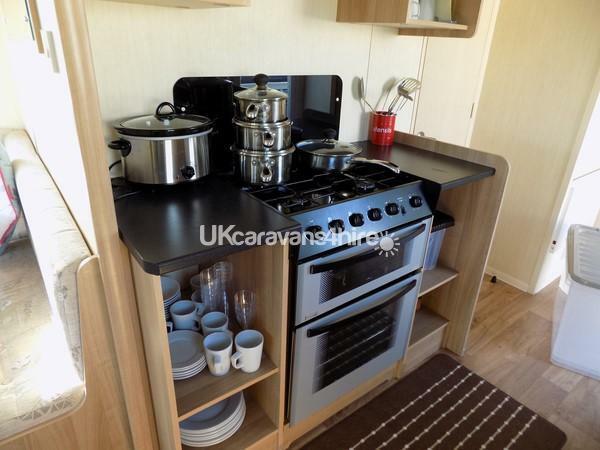 Overall a fantastic caravan and site and will definitely be back. 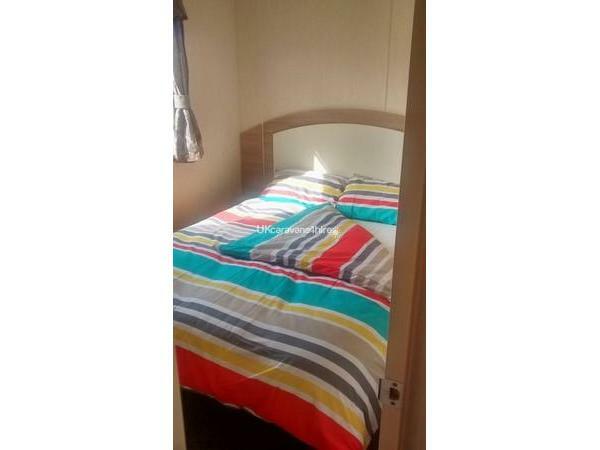 I stayed here with my family in August, it was a very clean and comfortable homely caravan, with all the amenities you need to stay in the caravan. All correspondence was always above board. Any questions or queries were always answered professionally. I would recommend staying here to all family and friends. 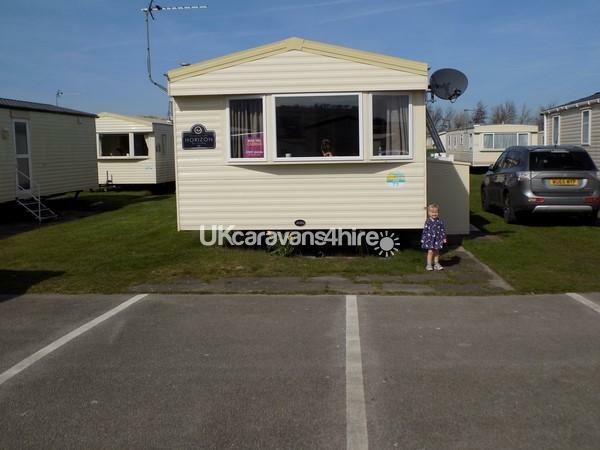 just enjoyed another week here at Haven, clean caravan. Couple minutes walk to the entertainment lounge but far enough away that it's quiet for early nights if needed. There's been some upgrades to the windows and doors this year (double glazing) which no doubt we will now book a winter break early next year! There's sky in the caravan with, discovery channels, kids channels and music! If you want movies/sport then bring your own sky card. No problem for us as there's a cupboard full of dvds to watch too! Beaches are nice too with the beach access at the rear of the park, short path and your there, talaca beach few minutes drive has shops cafes also worth a visit.